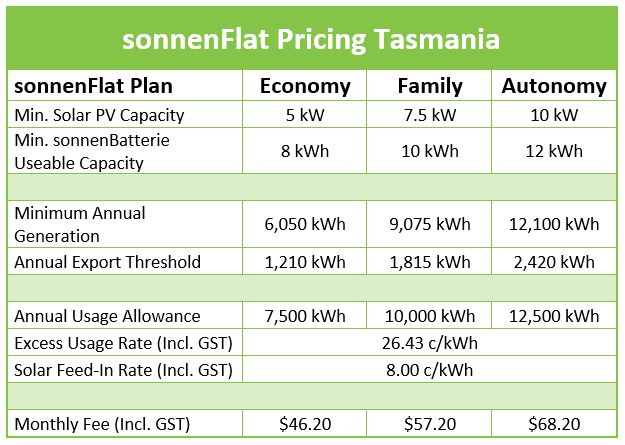 Pitched as The Alternative to Aurora, Tasmania’s first ‘second option’ on power tariffs, sonnen has just announced the release of sonnenFlat Tasmania. sonnenFlat is an alternative electricity tariff provided by sonnen eServies (a business name of Energy Locals Pty Ltd, an authorised electricity retailer), available exclusively to sonnenBatterie owners. Promises of saving up to 80% on your power bills and ‘energy independence’ certainly sound alluring – so what’s the deal? Like Aurora, sonnen eServices is a retail electricity provider that undertakes to provide power to households for an agreed cost. 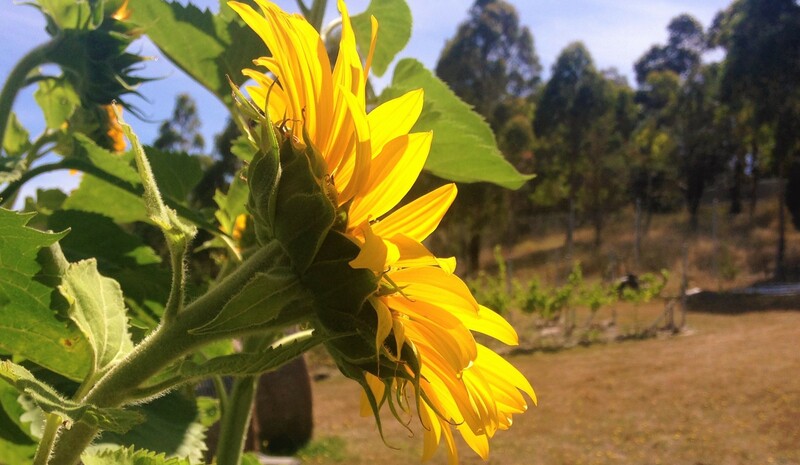 Also like Aurora, sonnen eServies will use the infrastructure provided by TasNetworks to supply power to your home. Unlike with Aurora, there are no daily supply connection charges. And unlike Aurora, sonnenFlat is designed to be based on a ‘virtual’ power plant created by an interconnected network of numerous individual sonnen solar/battery storage systems spanning the eastern states of Australia and South Australia (the ‘sonnenCommunity‘), rather than more traditional localised utilities driven by coal, gas, wind or hydro. 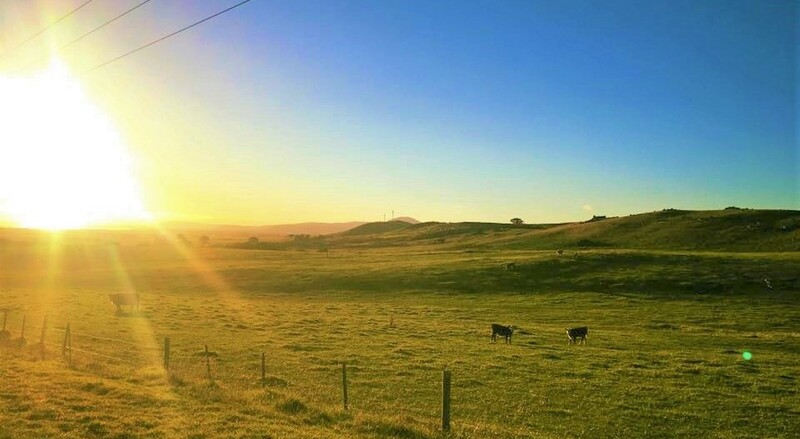 Although at this stage in Australia sonnenFlat still requires some mains power supply to stabilise load requirements, with time sonnen intends to be powered entirely from the virtual power plant created by the sonnenCommunity, as they currently do in Germany. To gain your ‘energy independence’, you agree to allow sonnen to have access and control over your solar battery system both physically and cybernetically. sonnen can use your system whenever they will. The ‘Annual Usage Allowance’ allocated to you is a yearly total, which allows for monthly variations in power usage without any final impact on your bill. It’s worth noting that this energy allocation includes all power you use, whether sourced from power generated by your own solar and battery system, or the grid. If you exceed your ‘Annual Usage Allowance’, you only pay for power drawn from the grid to supply your loads – any further power provided by your own solar and battery system is yours to use as required, without further charge. The ‘Excess Usage’ rate charged by sonnenFlat on additional power drawn from the grid is the same as the current standard Aurora general light and power Tariff 31 (26.43c/kWh). You are contractually obliged to ensure that your solar PV system generates a minimum quantity of power per annum (the ‘Minimum Annual Generation’ quantity specified above). If your system generates less than this amount, your ‘Annual Usage Allowance’ will be reduced in proportion to the shortfall. Although sonnen eServices offer a feed-in rate for excess solar exported to the grid (8.00 c/kWh, vs. 8.54 c/kWh with Aurora), this only applies after you reach the ‘Minimum Export Threshold’. All excess solar exported prior to that threshold will be used by sonnen without any direct reimbursement. Any solar Feed-In tariff you may be eligible for will be paid to you at the end of 12 months. There are no restrictions on the number of cycles sonnen may put your battery through over any given period of time; sonnenBatterie is warranted for 10 years OR 10,000 complete recharge cycles. This is a significant number of cycles, however, roughly equivalent to 20+ years of use if cycled approximately once a day. As the sonnenCommunity grows in Australia there would be increasingly less demand on each individual battery. You are free to decide you want to switch back to Aurora at any time, but if you close your account within a 12-month period, your annual usage allowance will be calculated at a pro-rata basis. If your energy consumption for the time you’ve been with sonnenFlat exceeds the pro-rata amount calculated, you will be charged for the power difference based on the ‘Excess Usage’ rate. It’s worth clarifying that you are still technically the owner of your system, and will be entirely responsible for all maintenance and upkeep to ensure the system operates as expected. You are required to keep the solar battery installation “permanently operational”. If you don’t have a smart meter installed on your house, sonnen eServices will install one at a fixed rate of $207.90 (incl. GST), assuming simple standard installation (ie, no asbestos issues and plenty of room in your switchboard). If you meet the above requirements and wish to move to sonnenFlat, you can simply let sonnen eServices know your decision; they will contact Aurora to arrange for the transfer of your account. TasNetworks will be sent to obtain a final meter reading, which will cost you $66.74 (incl. GST), in order to close your account with Aurora, and you will then be transferred to sonnenFlat.